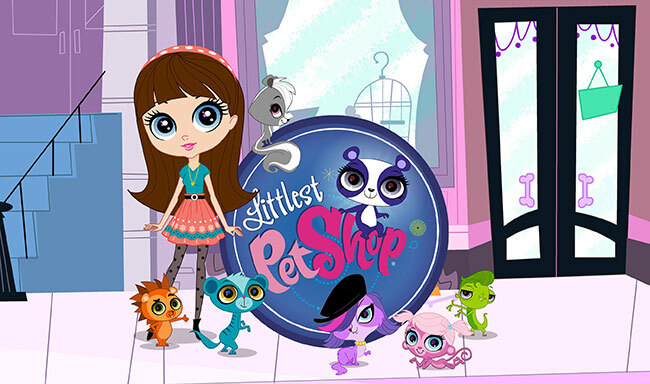 BEVERLY HILLS, Calif. and PAWTUCKET, R.I., April 11, 2013 -- Netflix, Inc. and Hasbro, Inc. today announced an expanded agreement making two of the hottest new Hasbro Studios shows, Littlest Pet Shop and Kaijudo: Rise of the Duel Masters, available to Netflix members in the U.S. Kaijudo is available now and Littlest Pet Shop will be available summer 2013. Hasbro Studios Signs Multi-Year Deal with Netflix to Provide Its Award-Winning Content across Multiple Platforms in the U.S.
LOS ANGELES -- April 5, 2012 -- Hasbro Studios, the Los Angeles-based television production and distribution division of Hasbro, Inc., today announced a multi-year deal with Netflix, Inc. Ten highly popular franchises, including new and catalog seasons of famed Hasbro content, will be available to instantly watch on Netflix.